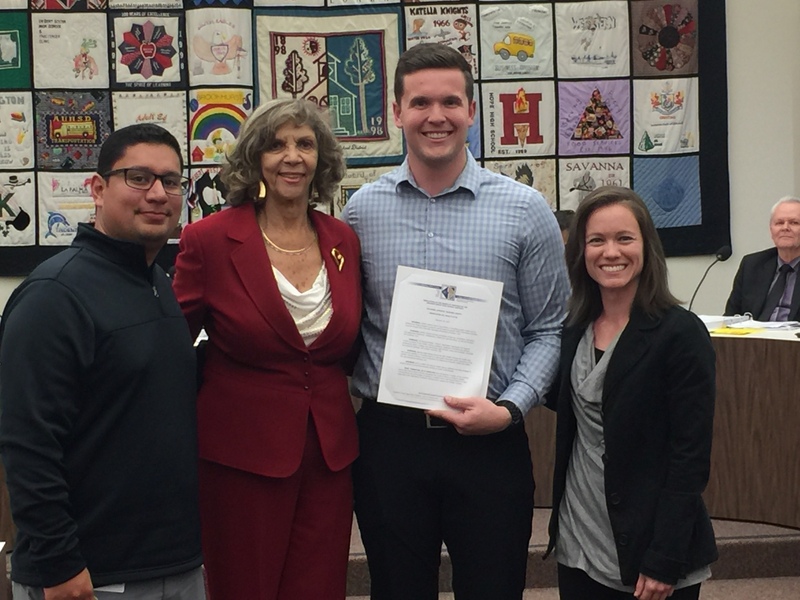 The Anaheim Union High School District (AUHSD) has set forth a resolution to adopt the month of March as National Athletic Training Month. The AUHSD Board of Trustees understands and promotes that the certified athletic trainers in the district are nationally certified and are dedicated to providing professional health care to all student athletes. AUHSD and the Board of Trustees has taken this resolution as an opportunity to inform parents, guardians, and the community of the efforts that the athletic trainers in the district is making sure that the student athletes are protected. In this school year alone the AUHSD has introduced nine athletic trainers in a full time capacity to protect the student athletes. The steps to provided and support athletic trainers in AUHSD is well underway.